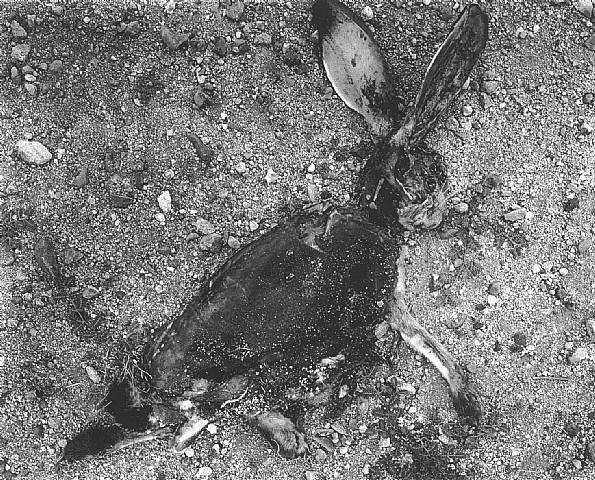 Road-killed rabbit meets cassette-tape chewing in “Weight of the World on My Shoulders or Weight of the World in Her Shudder,” one of four mini lyric essays by j/j hastain in our Spring 2015 issue. WHEN WE MET IN THE BACK OF THAT WEIRD CHURCH on a winter morning just after a rainstorm, my friend was obviously troubled: “I knew you would know what to do with it. I have been driving around with it on the floor of the passenger seat of my car for a few days now.” She took me to where its small, ripped body was lying, both still connected to itself and also strewn: very not its hopping, spring-self. I appreciated that she had adorned its dead form with many different types of flowers because usually these types of scenes make me feel like I am chewing on cassette tapes (both the plastic and the dark matter-like strands) and in need of something lush or verdant in order to most accurately honor the contents of the scene. Sweet road-kill rabbits make the cyborg parts of me sweat. Gently setting the rabbit beside me for a moment I used the heel of my boot to dig a deep hole in the ground: a new burrow for the dead to rest in. She cried as one might weep at the loss of a child; she winced. As she watched me dig the hole I felt her notice the strands of cassette hanging out of my mouth and over my lips like bloody flesh hangs out of a carnivore’s mouth: only partially consumed with more saved for later. I was visualizing how, when pressed firmly into them over time, bullets or chains are swallowed into the tree that they had been forcefully shoved into or slung over. Though initially the tree leaks sap in response, wincing a little bit itself, eventually it accepts the added. Was this the reason to bury the bunny? For the sake of inviting road kill back into the planet after a facet of the planet took it? 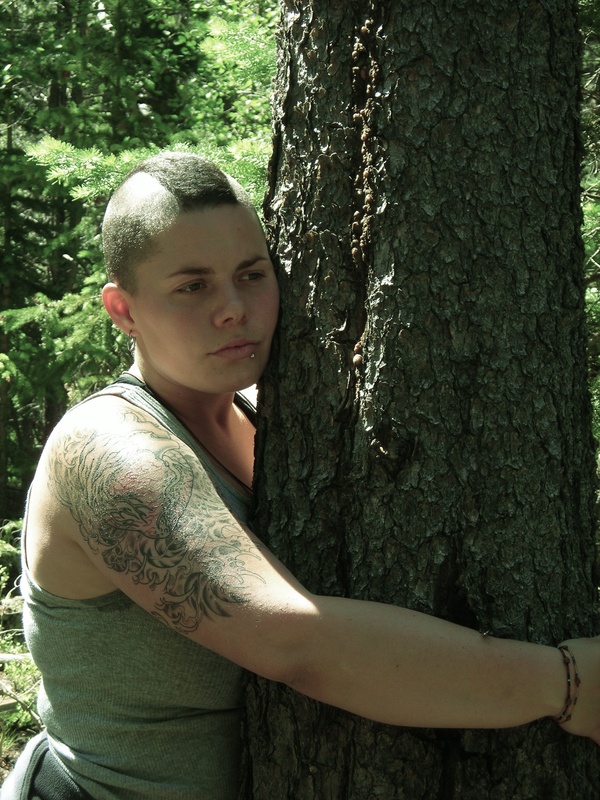 Would I share this image of trees swallowing bullets with this grieving woman who was shuddering desperately beside me? Or is it possible that there are parts of grief so sweet that they might be blotted out if a lesson is suddenly shoved in? Note: I will not let any form of possible peristalsis become paralysis under the knowing weight of my steel-toed, metallic-colored boot.